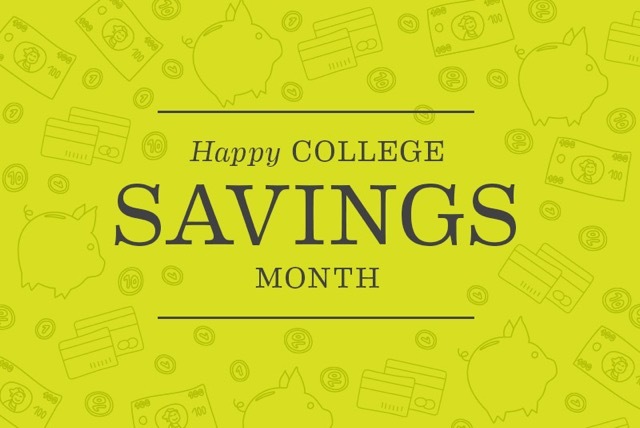 September is officially College Savings Month! Of course, if you’ve got a CollegeCounts 529 account, this is probably a topic that’s already near and dear to your heart. But the importance of saving for college is a message that still needs to be spread. According to research from Sallie Mae, 86 percent of parents and guardians believe that their children will attend college. However, less than half that number—39 percent—have a savings plan for college. You’re probably aware that tuition rates are steadily increasing, which means saving for college is becoming more and more important. According to research from Student Loan Hero, students from 2016’s graduating class left school with an average of $37,172 in student loan debt. So what’s the answer? And why aren’t more parents acting on it? While there is good news on the horizon, according to a recent NPR report, there’s still a variety of reasons why parents put off or avoid saving for college. As U.S. News & World Report points out, many parents procrastinate until their children are older, while others shrug their shoulders when facing the prospect of investment-based savings or the inflating cost of college tuition. And while putting money aside is easier for some families than others, that doesn’t mean a college savings plan is out of reach. As you’ll see from our data, there’s a huge benefit to starting early when it comes to saving for college. And no matter how much you want to set aside, or how often you want to do it, there are several ways you can contribute to your child’s account. Our children are everything to us, and if we want them to attend college, it’s important that we help them as much as we can. After all, 18 years fly by so fast. Learn more about CollegeCounts 529 and open your account today. Happy College Savings Month!